Winter holidays are traditionally time of giving and sharing. 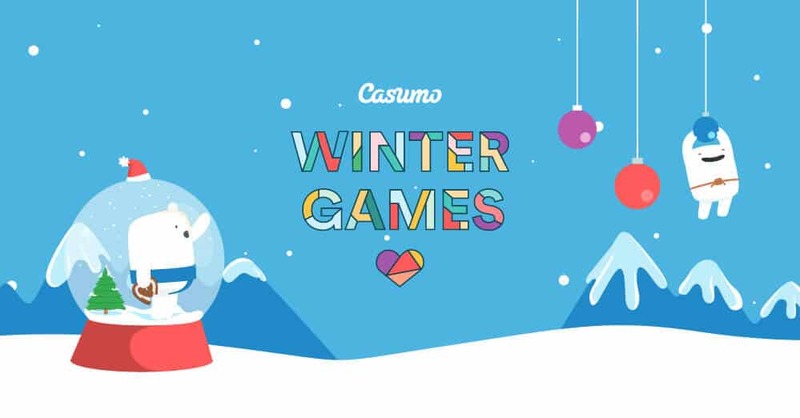 Looking to spread some joy and warm up the hearts of its players, Casumo Casino has launched the Winter Games festival, running between November 30, 2018 and January 6, 2019. With big giveaways, mystery prizes, and guaranteed jackpots, Casumo is the place to be this December! With so much up for taking, there is every reason to make Casumo your primary casino during this festive period and play as much as possible there. With all the extra money in the mix, it is hard to lose, which isn’t something we can say often for an online casino! Will You Be the Winter Games Champion? Many of the promotions are already underway and some are still to kick off. So, waste no time and get involved with Casumo Winter Games as soon as you can because this is one of the best promotions around. With just a bit of luck, you could be the Winter Games champion and get the much needed extra cash for some sweet Christmas presents to share the joy with friends and family.